GOOD LUCK to Zachary Vasquez as he travels on Friday, February 10 to St. John’s School of Houston to compete for a spot in the National Prep Wrestling Tournament. 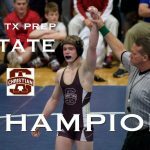 Vasquez earned the right to challenge for a berth in the tournament by placing fourth at Texas Prep State. LION PRIDE! Varsity wrestlers continue to have solid showings. With only three wrestlers competing, the Lions finished in front of 11 teams in a 38 squad field at the Roosevelt High School tournament. Duncan Clayton placed 4th. Iverson White notched a 2-2 record, and Zac Vasquez was 3-2 for the day. 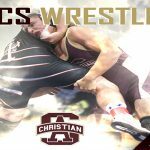 Boys Middle School Wrestling, Boys Varsity Wrestling · Nov 28 Wrestling Season Has Begun!